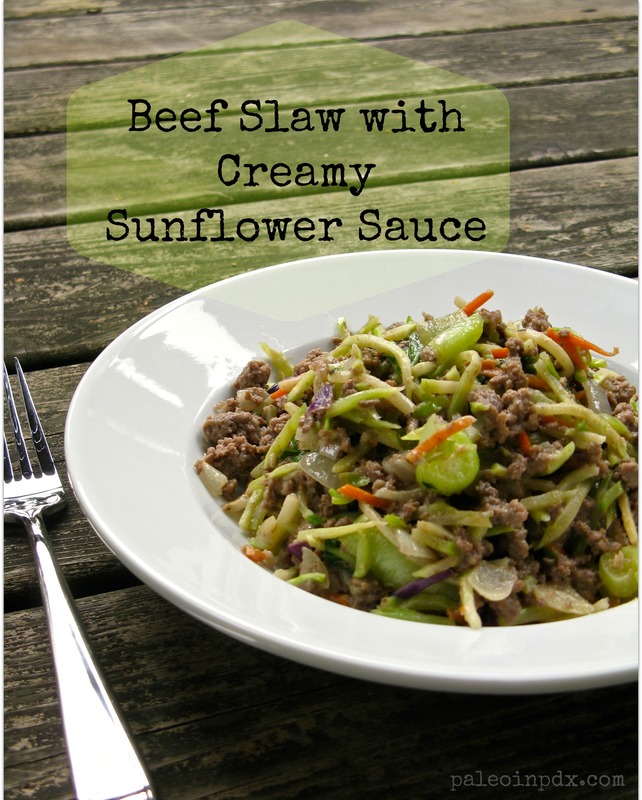 I think I could coin this beef slaw with creamy sunflower sauce as a lazy man or woman’s recipe because it involves very little time and effort, yet yields great texture and flavor. It’s creamy, crunchy, savory, salty (in a good way — not overdone) and downright 100 percent delicious. It’s a nice go-to on those extra busy days because it is incredibly simple and still allows you to have a delicious, healthy meal on the table in a pinch. I think it’s a win-win for everyone. Cheers and hope you enjoy my lazy recipe! Melt coconut oil in a large pan over medium heat. Add the onion and garlic, and stir. After about 2 minutes, add the ground beef and break up with a spatula. Season with a little sea salt and pepper, to taste. 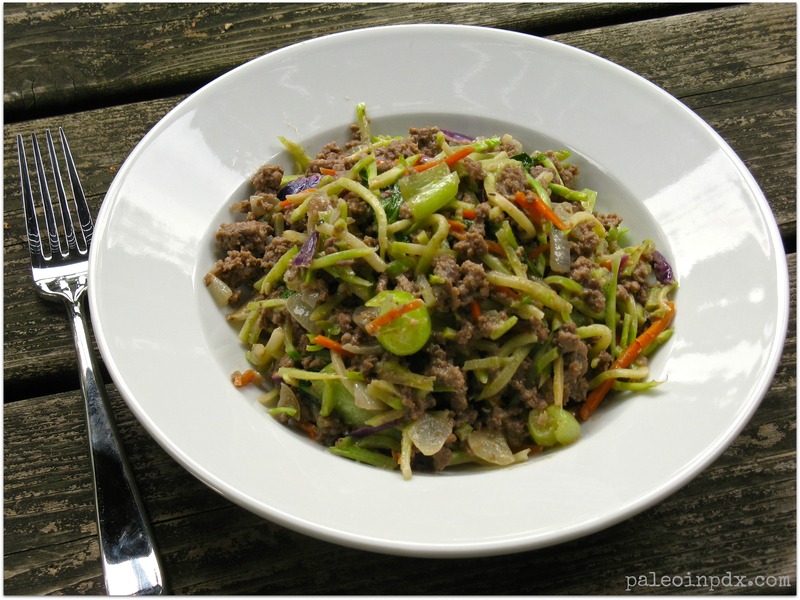 Once the meat is cooked through, add the chopped baby bok choy and stir. Then, add the broccoli slaw and toss again. Season to taste with sea salt and pepper, and cook for another minute. Next, add the sauce (recipe below) and stir well, making sure everything gets well coated. Cook for another 2-3 minutes or until mixture is heated through. Thanks, it’s SO easy, but SO tasty! That look awesome. We love slaws!!!! Pinning it to plan for dinner!!!! I made this last week, and I’m making it again tomorrow night. So good! I tried this for dinner tonight and it was so good! Thank you for sharing!